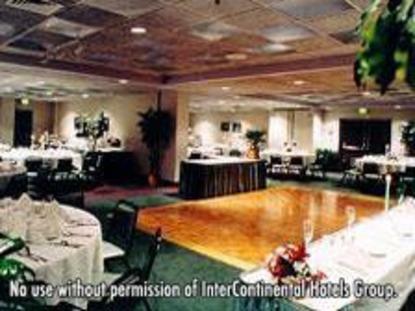 The Holiday Inn Hotel Chesapeake House is centrally located in the city of Aberdeen, MD, 1/4 mile off I-95. Just minutes away from Aberdeen Proving Grounds, the Heat Center, Cal Ripken Stadium - home of the Aberdeen Ironbirds, and Bulle Rock Golf Course - site of the McDonald&regs LPGA Tournament. We are just 30 miles north of downtown Baltimore, the Inner Harbor, National Aquarium, Orioles Park at Camden Yards, and M & T Bank Stadium - home of the Baltimore Ravens. We offer a year-round heated indoor pool, a fitness room, and same day laundry valet service (M-F). Guests also enjoy free high-speed wireless Internet, 50+ cable channels including HBO and ESPN. We are a government friendly hotel and offer dedicated hardwired high-speed Internet use for increased security. This year we will be continually upgrading our property to better suit the needs of you - our everyday heroes. We appreciate all the support and patience from all of our loyal friends. We also would like to thank our customers for all their comments and suggestions which will continually enhance our product in the future. The Holiday Inn Chesapeake House staff takes pride in producing a friendly and pleasant environment and we'd love to host your next visit to Aberdeen This hotel is committed to providing accessible facilities under the American Disabilities Act. If your accessibility needs are not met, please contact the Hotel Manager on Duty. Should you require additional information regarding accessible facilities for guests with disabilities, please call 1-800-Holiday (U.S. and Canada) or contact the hotel directly. For the hearing impaired, TDD service is available at 1-800-238-5544 within the U.S. and Canada.